Bailey is a Professional Netball player and a current member of the Silver Ferns team. Bailey returned to the Northern Mystics team in 2017 after a short stint playing for the Tactix. She can play at goal shoot, goal attack and wing attack. In 2012, she was selected into the Silver Ferns and made her debut in the Quad Series that year against South Africa. 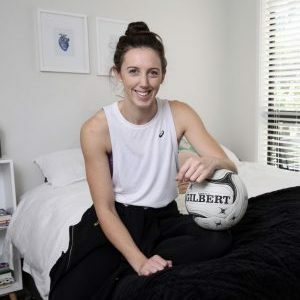 She was seen as a shock selection at the time, after playing only one quarter in the 2012 ANZ season, but was picked based on a strong trial and her natural athleticism and fitness. Since then, she has proved she is a dynamic player with an impressive vertical jump. Bailey has redefined her shooting game in recent times, her out-and-out athletic ability and improved accuracy setting a solid platform. *For any enquiries regarding appearances as a team member of the Mystics or Silver Ferns please contact their respective head office.